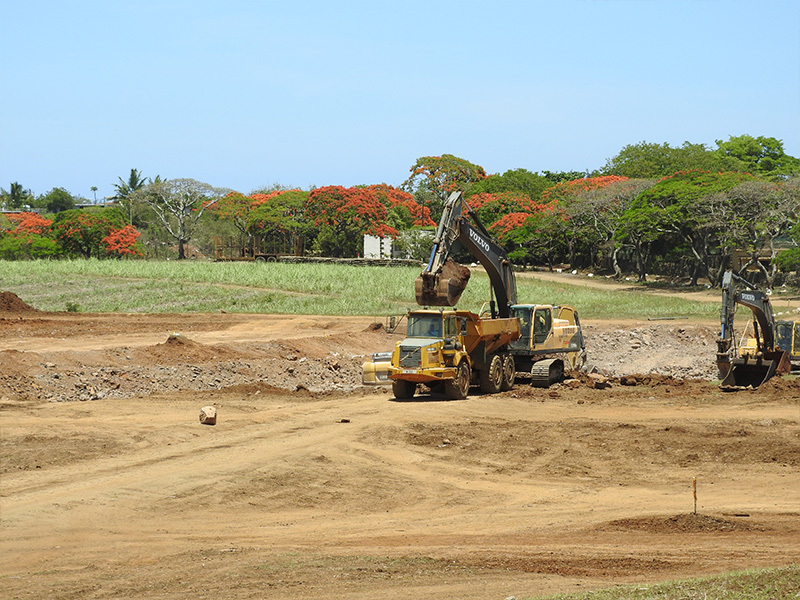 Since August 2015, CEAL is fully involved in the Mont Choisy Golf course project conceived by Peter Matkovich. The type of works done, in this nature reserve of 250 hectares, ranges from bulk earthworks, landscaping, Rock walls and building of ponds. 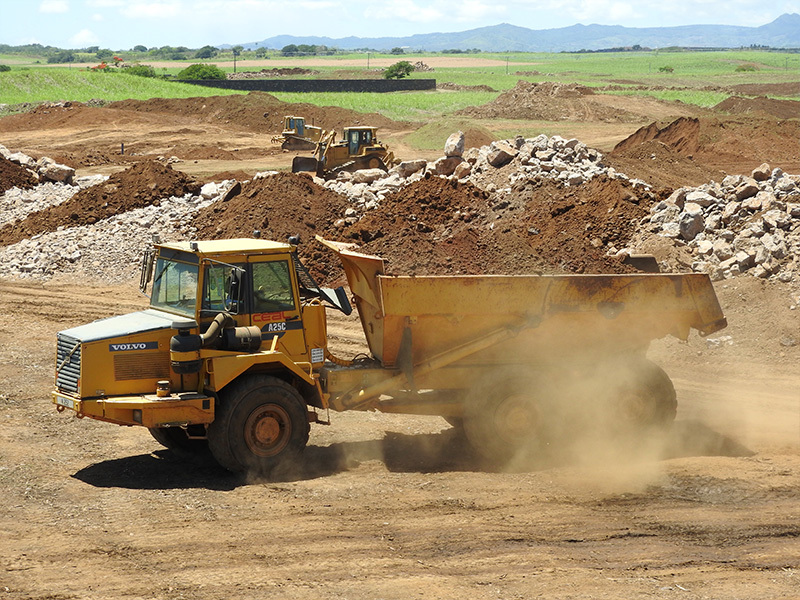 These works involve a large variety of Equipment and we are able to fulfil these needs thanks to our diversified fleet. 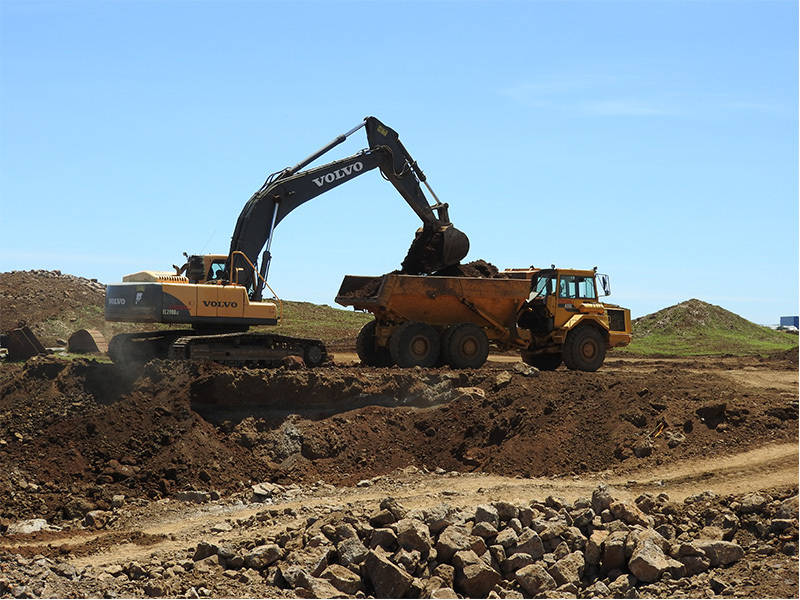 The Bulk earthworks and landscaping are achieved with Bulldozers such as the Caterpillar D5 and D6 and D7, excavators Cat 312 & 320 and Volvo 290 & 360 as well as articulated dump trucks. The pond construction, on the other hand, is being done with the help of a roller-compactor, wheel loaders, trucks and excavators. 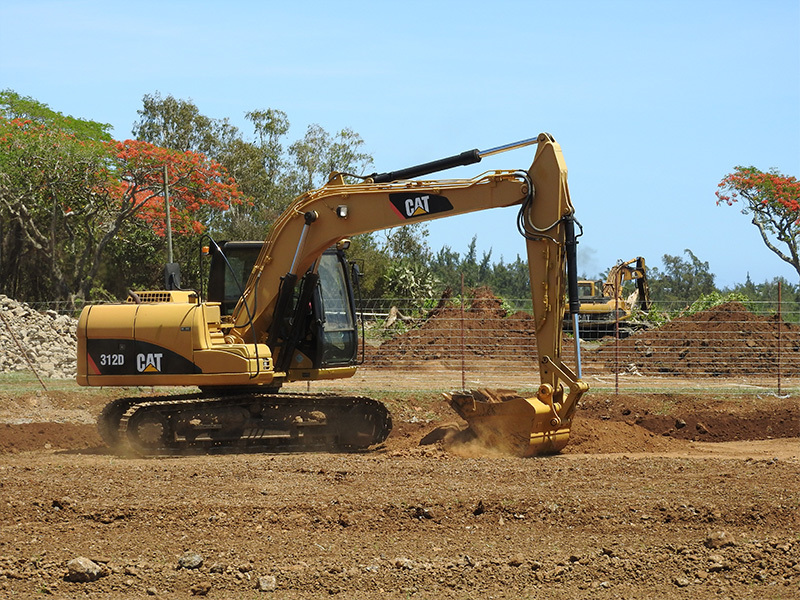 The fairways are tackled with a Cat D5 dozer and a pneumatic tractor with a chisel. 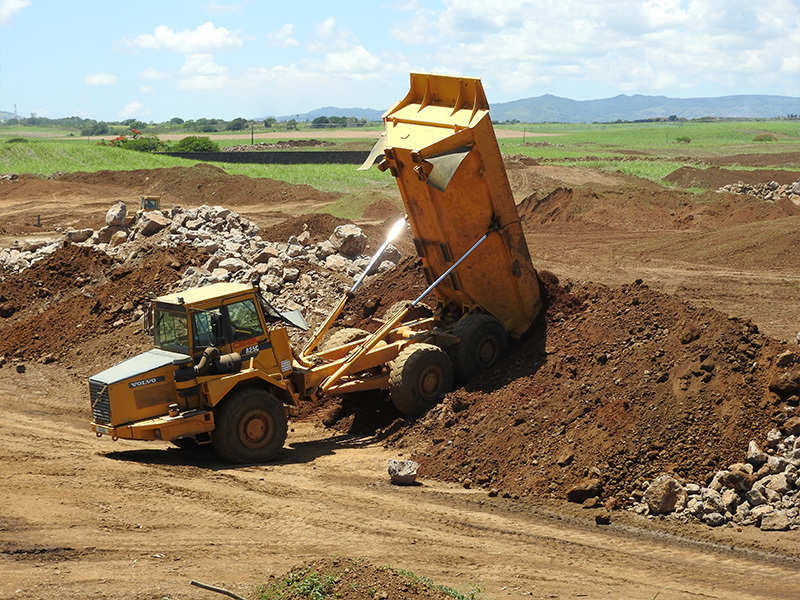 Bunkers shaping and finishing requires smaller pneumatic excavators and smaller 8 Ton excavators such as our Volvo EC88. 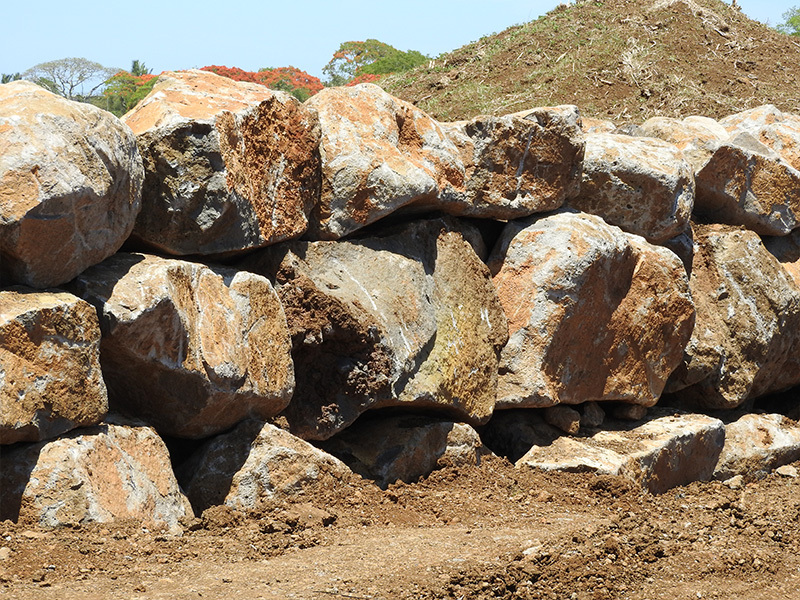 Rock Walls, which have become one of our specialities, are achieved with a pneumatic excavator and a rock grab.